Welcome to the land of quality furniture where the innovation in design meets with the indulgence of luxury feeling coming deep inside of your soul, may be that was the reason why we are nominated to be the one of the hundred fastest growing company in Asia and Europe. Please let our furniture to be your signature of your passion in comfort while being the best pieces with your loved ones. 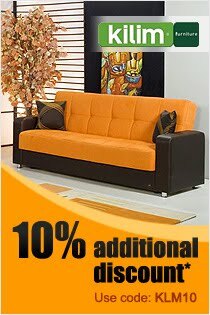 We promised to ourselves to satisfy all your needs that you can expect from a furniture. Kilim Furniture, the trademark of more than 30 years’ experience. Since 1970s, our company which made a principle to itself on continuous developing, -without giving any concession for high quality products- is taking place among the leaders of furniture suppliers in all around the world. Being aware of and giving an importance to the customer satisfaction, around 1000 employees’ performance at our mill – which has ISO 9000 certificate, planted on 200.000 m2 closed; 600.000 m2 open; totally 800.000 m2 area and the production system & output with maximum care for ecological protection – has been kept on top, during the journey of any product from the frame work to consumers’ usage. Supporting this performance also with after-sale services, Kilim Furniture is always in contact with its customers by using the present technology’s in their all facilities. Our company, which has the proud of serving its products to its buyers through more than 1500 sales outlets and reliable customer service all over the country, is furnishing glamorous & roomy residences by introducing Kilim Furniture’s comfort & stability to too many houses day by day. Quality Policy for our company – which always plans on producing high quality and takes the growing with continuous developing technology as a goal and a principle – is keeping customer satisfaction in the forefront and corresponding to the quality management system terms is a priority task. High-class article or service is the result of systematic actions, not the coincidences. Our Mission is to be reputable giant of sector, leader reference firm, which is setting its endeavors to meet customer expectations, which makes up the principles of responsibility, requirements of being a brand, which is weaving – the cultural wealth of the geography, that we live, in r&d model designs – like a kilim, which is doing job not as an obligation but as service, which when performing the service imbibed customer satisfaction, contribution to national economy, demand of employment, production cost, efficiency, quality comprehensions and other value judgments.